In the previous post, I posted about Grooming Workshop which was organised by Sun-TES to prepare students for Work-Based Learning (WBL) in October. The next step, is the Firms Visit. To give an insight to what firms visit is about is the purpose of this blog. On the 7th, 8th and 14th of July, we visited the Big 4+2 Audit Firms. (To the future CFAB-ers, the date is decided by Sun-TES, but it will be on the 5th semester, most probably after Grooming Workshop.). So, what are Big 4? Big 4 are basically the largest international professional service firms, offering audit, tax and advisory services. They are PwC, Deloitte, KPMG and EY. And why +2? Because the other 2 firms follow after Big 4 and they are BDO and SJGT (will be changing to GT Malaysia). 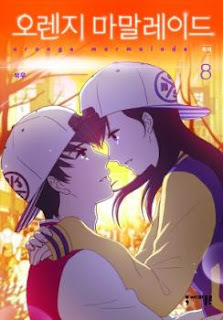 Orange Marmalade is a South Korean Manhwa series or webtoon written and illustrated by Seok Woo. About: This is a story between vampires and humans who are living together in a modern world after a peace treaty between them had formed 200 years ago. Though they are living together, the vampires' identity are not revealed and they are still being seen as monsters who desire humans' blood by the humans. Because of the many unknowns about vampires, vampires are not welcomed and most of the people wish them to be annihilated. So, how do they survive in this world? It is the start of my fifth semester and we had a grooming workshop on this very first day. It was prepared by Sun-TES and the purpose of this workshop is to prepare students for internship. What to wear and what not to wear. So, we had Michelle Tan from Chapter One and Brand International Institute as our Image Consultant. We began our class with creating first impression. Greetings and giving compliments, with a smile, dressing, postures, eye contacts, good firm handshake can give a great impression. And later, we proceeded to the dressing part. 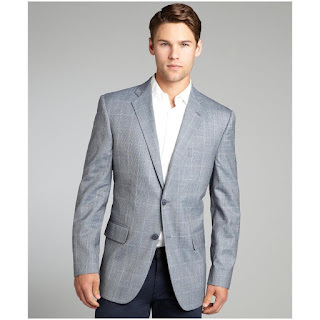 I'll start with men's formal wear. Be prepared, there are more restrictions than you think! On Wednesday, I posted a manga review on Mishounen Produce, and today I will be writing about Dengeki Daisy, an exciting, dangerous and full of surprise romance manga written by Motomi Kyousuke. About: The manga begins with Kurebayashi Teru, who is left all alone after his brother died. However, she is not lonely as her brother left her a phone that is connected to "Daisy", a mysterious being that protects her from danger and will always be by her side when she feels lonely and helpless. Who is "Daisy" and what is his identity? As time passes, Teru's peaceful life is shattered and is revealed to danger because of "Daisy" and her brother. How will she overcome these dangers as a powerless high school student? Who will be her ally? It's been a while since I posted a manga review. 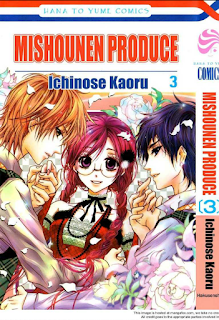 So, let me introduce to you "Mishounen Produce" written by Ichinose Kaoru. About: The story involves mainly a teenage girl, Kahara Kako, and a teenage boy, Yamami Kousei, who both came from a very rural area. Unable to bear the insult from the city girls about the appearance of Kousei, Kako is determined to transform her childhood friend based on an old manga series - Lawrence and Rose to make them regret. Kousei transformation become a huge success and his development extends beyond what Koka is expecting, what will she do? Will they be separated or will they be together? To add a little excitement to this manga, Ichinose Kaoru added a few rivals to compete with Kousei's beauty and charm and gave plain Kako a hidden identity and that is what bothered Kosei.